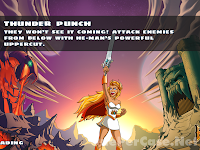 Now featuring the Princess of Power, the latest update to the Most Powerful Game in the Universe has arrived! For a free update, you get some pretty sweet new content. If you were holding off on getting this game, the latest update might be enough to convince you to let go of that 99 cents that’s been burning a hole in your iTunes account. Read on to see what’s new in the latest release. In case you didn’t see my original review, click here to see what makes this a great game. 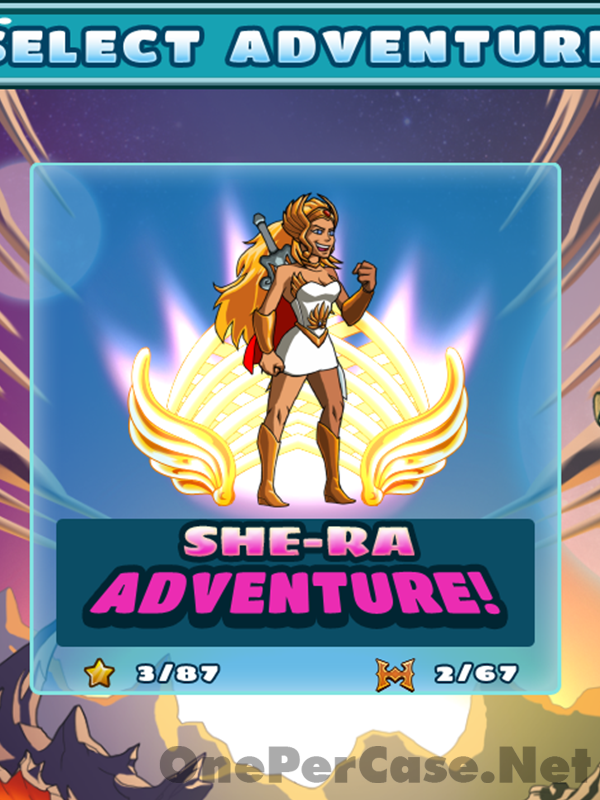 The latest update doesn’t bring you a brand new game, or even any new levels, but it does bring you She-Ra, the Princess of Power! 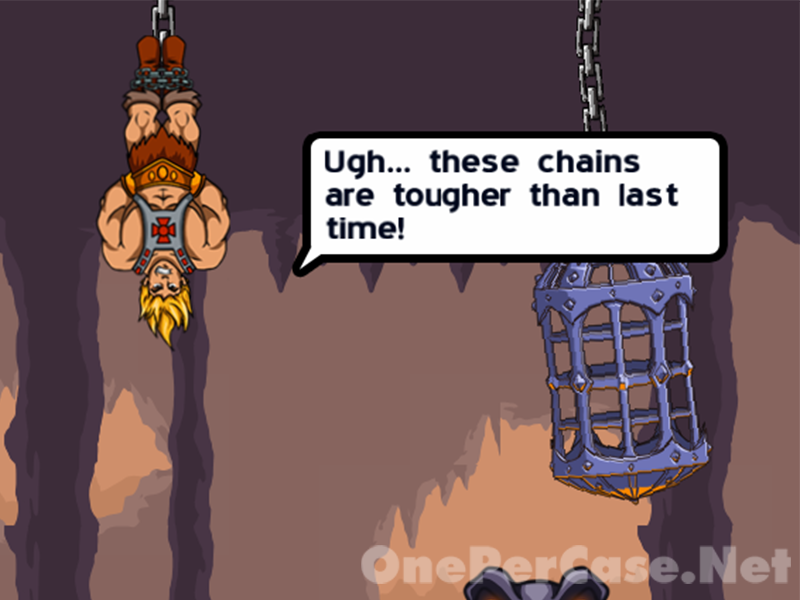 This time, when He-Man tries to bust out of his cage, it’s a little more difficult. 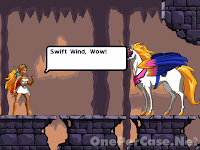 This time it’s up to twin sister Princess Adora (aka She-Ra) to stop the baddies. 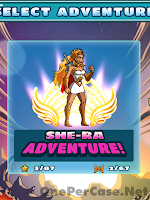 When you start up your game, you can still choose the He-Man adventure, or move on to a new challenge with She-Ra as your protagonist. 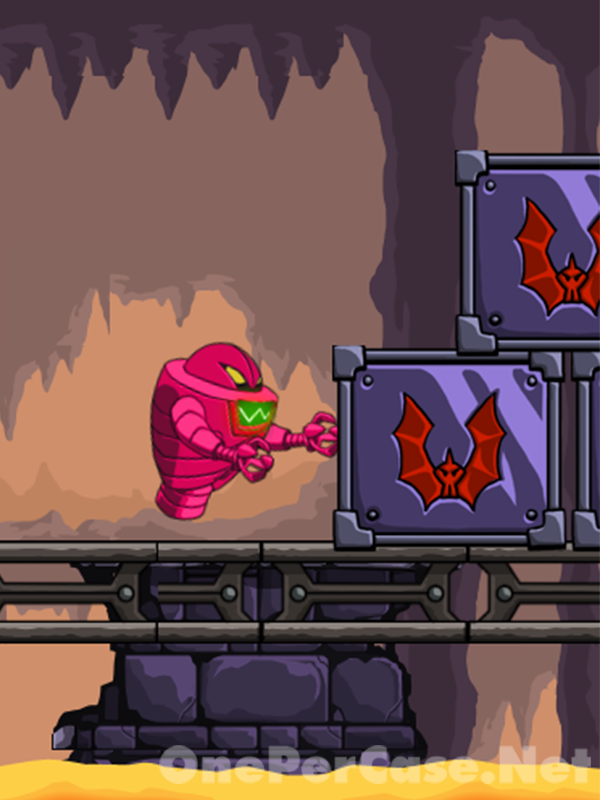 As I said, there aren’t any new levels, but this time you get to see things from the female point-of-view. Well, in all probability, it’s the female point-of-view as scripted by some dude/dudes. 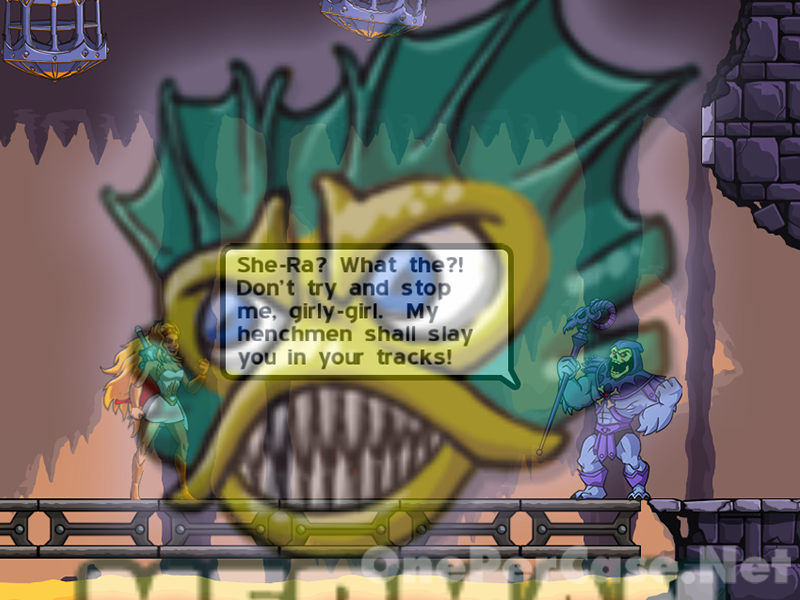 The dialogue has changed, and continues with the same self-deprecating humor as seen before. Don’t worry, you’ll be able to tell you’re playing a different group. Remember Skeletor’s doombots? Now they’re hot pink. 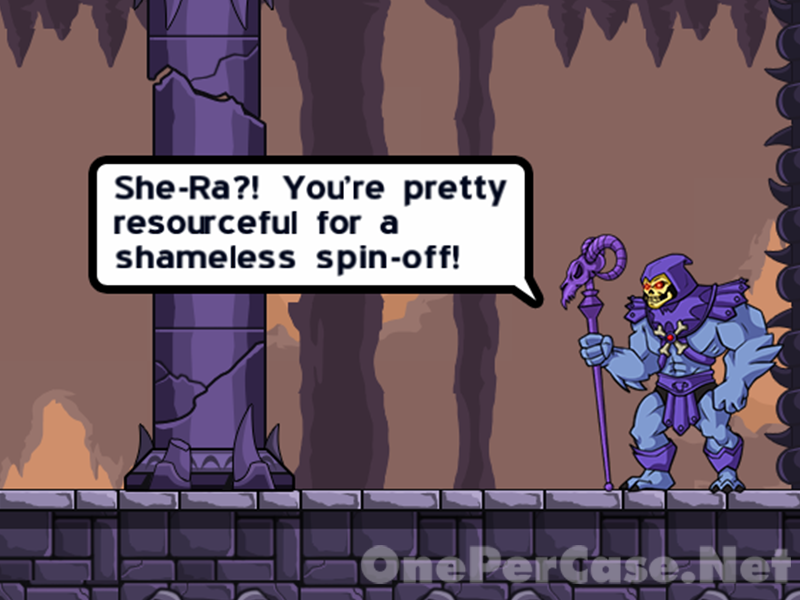 Apparently Skeletor needs to send lady doombots to fight She-Ra. Functionally, you get all the same moves as He-Man, but with a lady-like twist. One noticeable difference is that She-Ra is a much better jumper than He-Man. Also, the grunt while jumping now sounds a lot more like Venus Williams than Dolph Lundgren. You’ll still get help from your old buddy Orko and the Sorceress. Man-at-Arms is gone, but Swift Wind shows up to pick up the slack. While this isn’t a straight trade (which would obviously be made for the absent Battle Cat), Swift Wind functions every bit as well as Duncan when it comes to taking out a Horde in a jiffy. 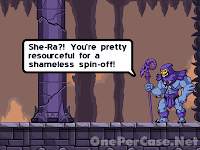 You still get to call on your old pal the Spirit of Grayskull for help. Of course now you’re getting your boost “For the honor of Grayskull”, as well you should. 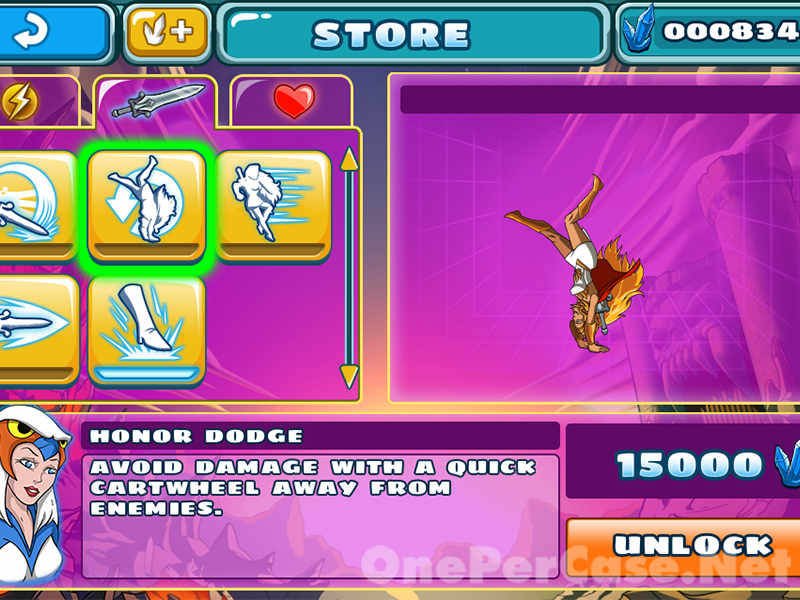 Instead of punching bad guys off the screen, now you kick them with your fancy boots. The lore bonuses are back, and don’t seem to have changed any. This is one thing I would have liked to see, as this is one of my favorite aspects of the game. 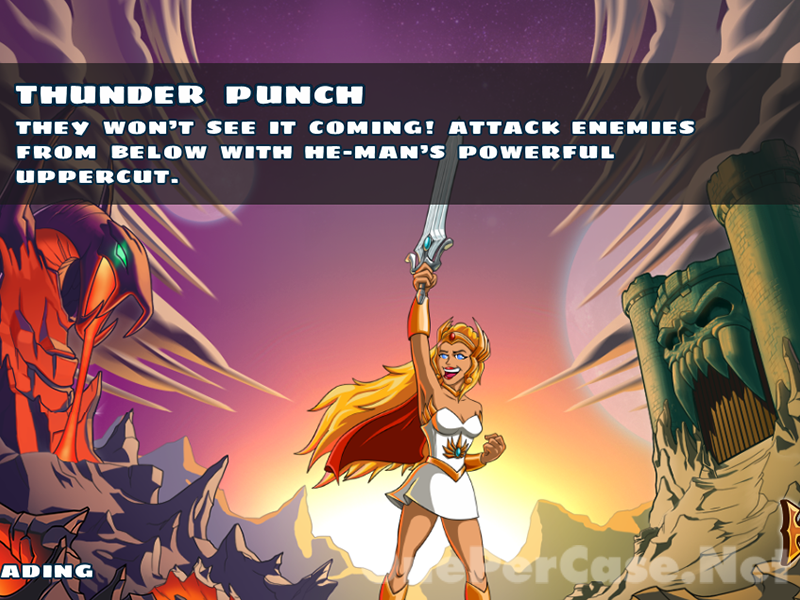 For the She-Ra product art, how about some product art from Princess of Power products? Is that too much to ask? Apparently. 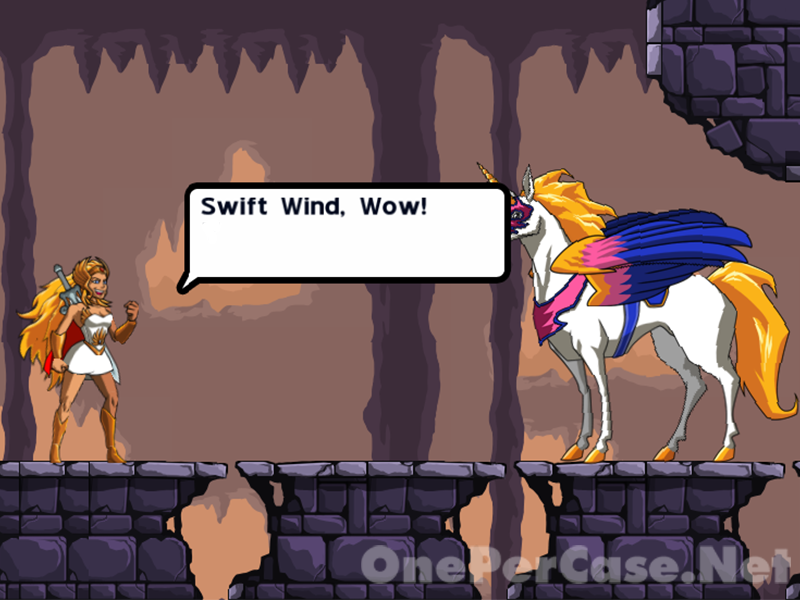 The in-game power-ups have taken a decidedly She-Ra based turn, but do you really want to see He-Man cartwheel away from enemies? While there aren’t any new levels, there is plenty to this update to make it worth the time to download. You get a lot more than just a new skin for your character, which for free, isn’t a bad deal at all. 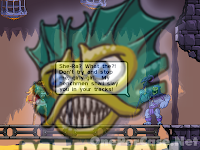 If you haven’t got this game yet, stop waiting and head over to the iTunes store now! And wait, what’s that shadowy “coming soon” screen hinting at another playable character?! Green claws slashing through a He-Man silhouette? Snake-He-Man? 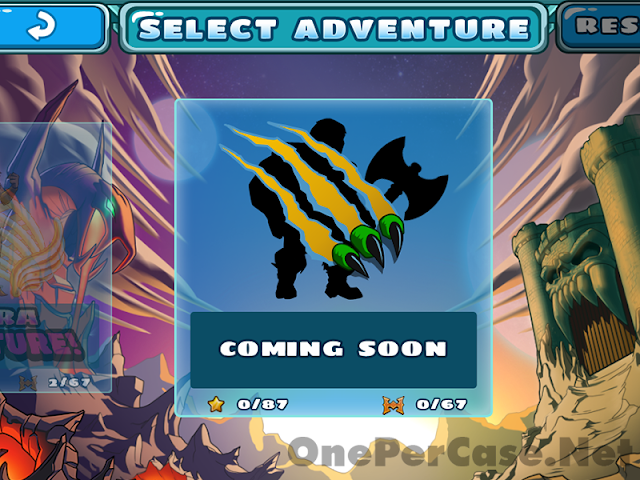 Battle Cat? Your guess is as good as mine, so feel free to share your theories. 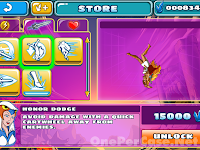 Is this a mobile game, like for the ipod/ipad? Also, is it available for Android? Right now it's iOS only as far as I know, but they keep saying there's an Android version "coming soon", so take that with the usual grain of salt as far as what their definition of "soon" is.